Steve arrived in this world two months early on January 19th, 1967 as he could not wait to start this adventure. Born to William and Christina Jenkins in Saugus Ca., Steve’s ability to connect with people began almost from birth. Barely old enough to talk Steve had to know all the neighbors and they all knew little Stevie. He was a very mischievous kid who made his parents well known by his teachers throughout elementary school. Constantly in trouble he endured years of teachers telling him he wouldn’t amount to anything and would probably wind up in prison. The strong discipline, love, and guidance of his parents allowed Steve to find his outlet in athletics. Steve, a.k.a Big Jinx, was a natural born leader and it manifested on the football and track fields. He won numerous awards, letters, and accolades. Big Jinx earned multiple All-Conference and All-State honors. He was one of the Top Football prospects in the nation. His passion for sports coupled with; the work ethic he learned from his father, and the belief that he could accomplish anything in life which was instilled by his mother, led Steve to earn a dual scholarship to Long Beach State in football and track in 1985. At Long Beach State Steve continued to grow and develop as a person and he met the love of his life. One day while scoping out the incoming freshman ladies moving into the dorms, he spotted the one who would change his life forever, Traci L. Griffin. Traci had a profound effect on Steve, he had never met anyone as beautiful, strong-willed, and focused. Traci, as Steve would say, made him a better person. They began life as Mr. and Mrs. Jenkins on January 15th, 1988. They were blessed with two beautiful sons Deven and Dajaye. Family was everything to Steve. He devoted himself to providing the love and training his sons needed, to grow into responsible men. He was their best friend and confidant. Steve not only loved them, but their friends too; he was “Pops” to everybody. His love and support for his boys was unconditional. He displayed what a truly good father looks like; and was a role model in how to love God, family, and friends in good times or bad. He instilled in them the qualities that will draw them close to Jehovah, family, and friends. Steve’s love for his family and life was enhanced as he started to learn about Jehovah. He loved Jehovah and demonstrated it by being baptized as one of his witnesses in July 2000. Steve was very active in his service to Jehovah spending countless hours in the ministry. Steve took up the full-time ministry in March 2017 and attended Pioneer School in August 2018. He was instrumental in starting the letter writing group to reach those not reachable in the door to door ministry. He participated regularly in the prison ministry helping those who had lost their way. Steve’s genuine love and concern for people was obvious to all. Because of his warm nature and easy- going ways he could talk to all sorts of people and make them feel comfortable. When participating in the Metropolitan Witnessing he could talk as easily to the homeless as he could the business professionals, and he did just that, talked to anyone who would listen. Steve was always striving to draw ever closer to Jehovah by applying the Bible’s principles and commands in his everyday life and encouraging others to do the same. As a ministerial servant in the congregation, Steve provided support and friendship to all. During his time at Long Beach State, Steve majored in Criminal Justice which began his passion for law enforcement. Steve began his career as a corrections officer at The Federal Correctional Institute, Terminal Island, where he was named Rookie Officer of the Year. Steve achieved several career promotions due to of his strong work ethics, drive, and desire to be the best he could be. He was promoted from Counselor to Lieutenant, to Deputy Captain, to Captain. He was a member of the Special Operations Response Team (SORT) where he worked to keep people safe and restore law and order during the LA Riots. Captain Jenkins achieved great success and recognition for playing a critical role in opening the first high level correctional facility to earn a 100% compliance score in its initial ACA accreditation. Steve’s elementary teachers were correct as he did end up in the prison system, only he was running the prison. If not for the forced medical retirement in 2009 due to Sickle Cell, there is no doubt he would have made a great Warden. Steve had many passions outside of the ministry, family and friends. He was a member of several car and truck clubs and has entered his prized possession, his tricked out 1992 Chevy Truck, into several truck competitions. 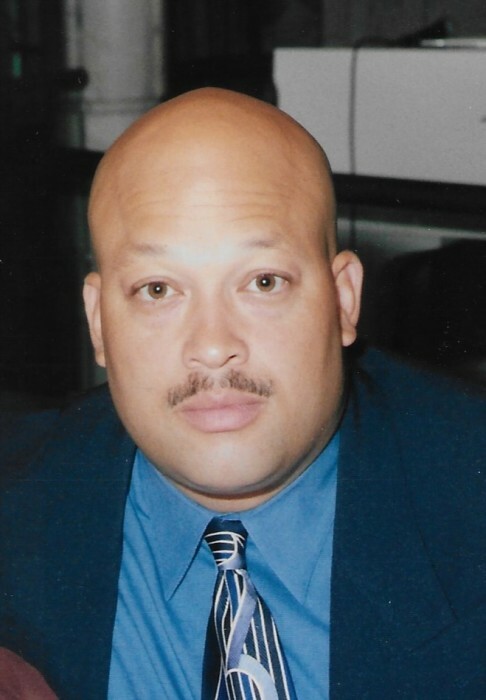 Staying active throughout his life he enjoyed playing in law enforcement football and basketball leagues as well as working out regularly with his boys. He maintained a deep love and pride for his Cali teams the Raiders and the Lakers. Steve was Facebook before Facebook was invented, always reaching out, staying in touch and connecting with family and friends. He loved to laugh and make others laugh along with him. His personality was infectious, lighting up the room, and his compassion would warm your heart. There are no words to describe the impact he had on so many lives and how much he loved and will always be loved. Steven is survived by his loving wife Traci Jenkins, his sons Deven Jenkins, Dajaye (Dejanee) Jenkins, his parents William and Christina Jenkins, his siblings Rochelle (Lance) Bamba, Damiean (Katina) Jenkins, his grandchildren, Catalya, Zendaya, and Parker Jenkins, his mother-n-law Deloris Griffin, sister-n-law Telli Griffin, and his nieces and nephew, Jasmine Williams, Jacara Jenkins, Jaleel Jenkins, and Gia Clouse. Many other aunts, uncles, cousins and host of loving friends.